Heat Treating – Forge Technology, Inc.
QForm’s heat treatment module predicts hardness, ultimate strength, phase composition, stress state and the final shape based on thermal elastic-plastic stresses due to non-uniform thermal shrinkage and heterogeneous phase composition, as well as the presence of residual stresses after forging operations. QForm HT allows optimization of cooling and heating conditions to ensure the required properties, minimization of distortion and heat treatment time, energy-efficient production. 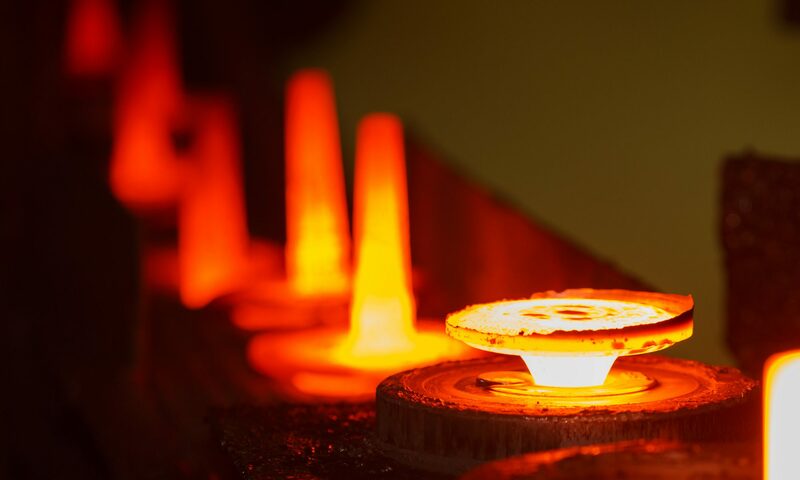 It determines the phase composition on the surface and internally as well as the hardness and ultimate strength of the forged pieces after heat treatment and evaluates residual stresses and distortion after the heat treatment.